This 5,000 acre park provides one of the best urban trail running experiences that you can find anywhere in the nation. Forest Park is truly exceptional. Not only is it the largest wooded city park in the nation, at 5,000 acres, but it also contains a wealth of history stretching back to the time of Lewis and Clark. It contains a wide variety of diverse plant and animal species and miles upon miles of some of the best urban trails found anywhere. 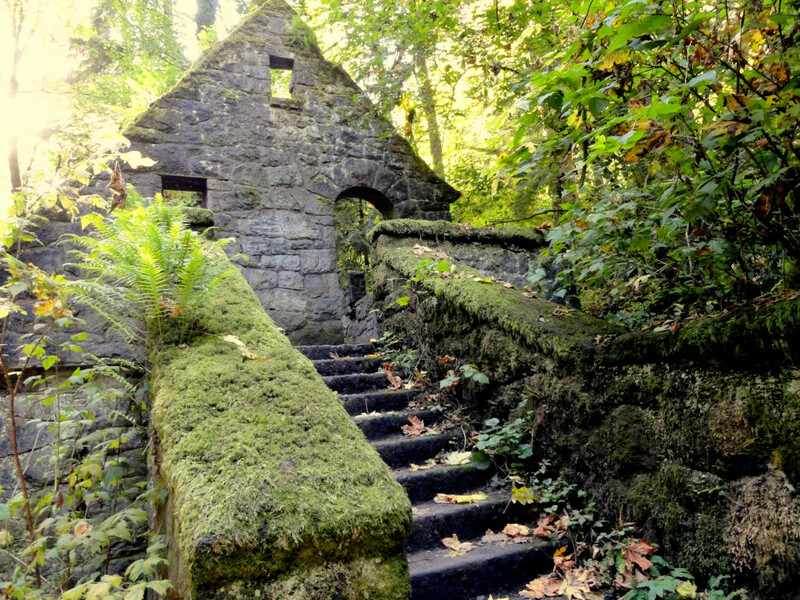 This park easily provides the most accessible off-road trail running you can find in Portland. There are countless options for short or long runs in the park. Forest Park is a trail runner’s dream. Miles upon miles of trail spread over more than 5,000 acres makes for the feeling of endless trail in an area that is still in the city. It feels like a classic Northwest forest because of the lush greenery that surrounds you. 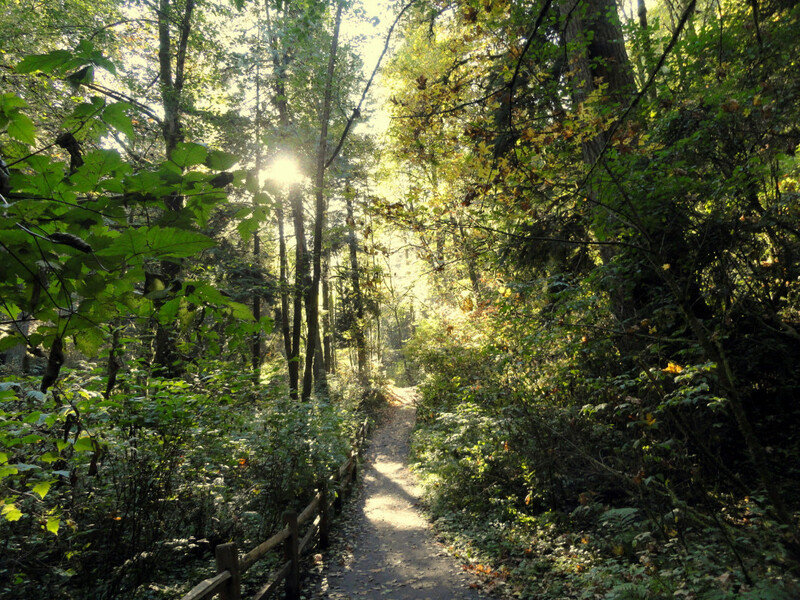 The main trail throughout forest park, which the trail runner will take for part of the loop described in this article, runs a total of 30 miles, which not only gives the runner the option for a longer run, but also inspires a vast sense of escape from city life while still being in the city. One of the best shorter routes starts and finishes at the Thurman Street gate. Head straight up the moderate Leif Erikson trail, a dirt access road with lots of foot traffic during lunchtime and after work hours. After just over 1.5 miles, take a left onto the Alder trail, a short steep climb up to the Wildwood trail where you’ll take another left. The Wildwood winds through the densely forested heart of the Park and eventually intersects with the Aspen trail. Take the Aspen downhill to the left and finish with a fun descent that ends at Aspen Ave. Head left on Aspen Ave for a nice walk or jog back to the Thurman gate parking area. There are many loops in forest park, which makes it accessible for runners of all experience levels. This trail may be a bit challenging for someone new to trail running because of the hill on the Alder trail, but once you get to the Wildwood trail, the grade levels out a bit and allows for a more casual run. This loop is only 3.3 miles, which makes it possible for less experienced runners and a quick lunch time or after work loop for more experienced runners. As mentioned before, it is also easy to continue on in forest park if you are looking for a longer run and there are many loops to choose from to add some mileage. Green Trails Maps makes a great map for Forest Park and there are maps through out the park. There are also several books that lay out more trail options. From US 30W, take the exit to NW Vaughn Street and turn left onto NW 26th Ave. NW Thurman Street is your second right and the trailhead will be on the left.